Going the extra mile for outstanding performance is not an easy task. However, having passion for, and dedication to your work makes the experience unique and worthwhile. These attributes have been vital to the success of our Tech Sales Rep, Chad Knight. Since joining the Premier team six years ago, Chad has exceeded expectations and opened countless doors. Chad’s genuine passion for trucks allows him to deliver expert knowledge to our customers and to build relationships with ease, making him one of Premier’s greatest assets. 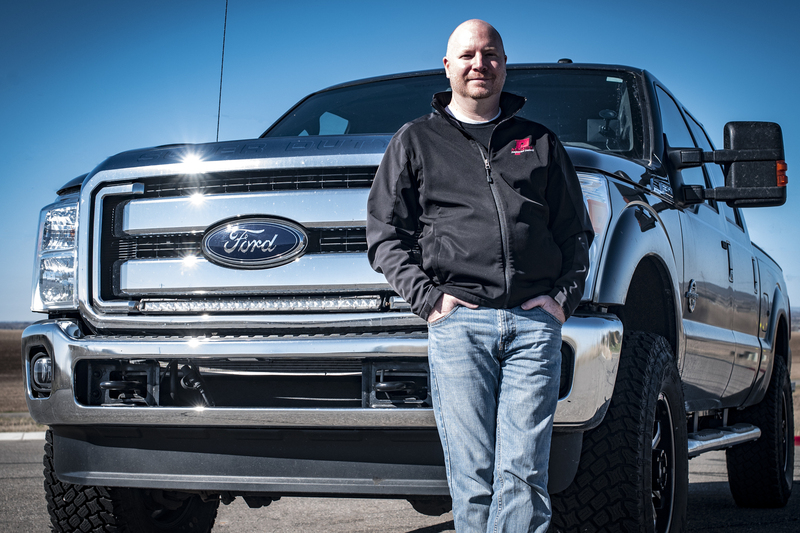 Chad has been a truck enthusiast and a part of the truck industry for most of his life. As such, he has gained a wealth of knowledge that he continues to build upon every day when helping our customers with technical questions. With the knowledge gained from over a decade of hands-on installation and modification experience, Chad is able to add value to every call. 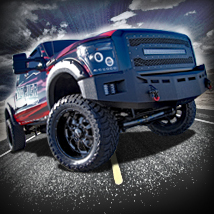 While Chad has experience working on a wide variety of vehicles, his preferred projects are usually diesel trucks. Although Chad’s personal preference is for diesel, he has a passion for all trucks, both diesel and gas. Though he now serves as a vital part of Premier’s Technical Sales team, Chad has previously held a variety of roles at Premier. After graduating with a degree from BYU Idaho, he started with Premier six years ago in the Returns department. There, he learned the system and got very familiar with fulfilling customer requests. Having that customer service experience helped out a lot when Chad got the opportunity to transition to a sales role as an Outside Sales Rep. Chad’s time as an Outside Sales Rep gave him an excellent opportunity to get to know our customers face to face, and to build and maintain key customer relationships. That experience translated very well into his current role as a Tech Sales Rep. Though he may handle a wide variety of questions in a day, Chad is truly invested in the success of each of our customers. With his dedication to customer service, knowledge of the products we sell, and enthusiasm for automotive performance, Chad is a key player in the success of both Premier and its customers. Chad is currently driving a 2016 Ford Power Stroke. It’s outfitted with a suite of aftermarket upgrades, including both accessories and performance parts. His build currently includes the following items, with additional upgrades planned!